Iran’s foreign minister and lead negotiator in nuclear talks said this week that the United States must bow to Iran’s "inalienable nuclear rights" and hinted that Western countries are being fooled about the extent of concessions being made by Tehran in talks, according to regional media reports. Despite Western media reports and indications from the Obama administration that Iran may be moderating its hardline position, there has been "no change in Iran's rigid stance on its inalienable nuclear rights," according to comments made Tuesday by Iranian Foreign Minister Javad Zarif and reported in Iran’s state-controlled-media. "Some [western] countries have fallen prey to miscalculations [about Iran’s position] due to wrong analyses," Zarif was quoted as saying on the heels of another round of talks with the United States and other Western countries ahead of the Nov. 24 deadline. 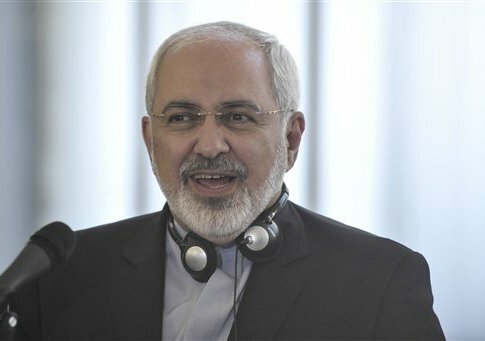 U.S. sanctions against Iran "have left no impact" on Iran’s desire to "possess the civilian nuclear technology," Iran’s Fars News Agency reported Zarif as saying. The foreign minister also framed the controversy over Iran’s nuclear weapons program as a "manufactured crisis." Zarif’s comments highlight the gaps that remain between Tehran and the West as negotiations approach their deadline. As Iran digs in over the right to enrich uranium, the key fuel in a nuclear bomb, the Obama administration has indicated that it may be willing to accede to this demand. Leading congressional opponents of a deal that permits Iran to continue enriching uranium said on Wednesday that Congress will pass new sanctions if the Obama administration concedes to this demand from Tehran. "As co-authors of bipartisan sanctions laws that compelled Iran to the negotiating table, we believe that a good deal will dismantle, not just stall, Iran’s illicit nuclear program and prevent Iran from ever becoming a threshold nuclear weapons state," Sens. Mark Kirk (R., Ill.) and Robert Menendez (D., N.J.) said in a joint statement. "If a potential deal does not achieve these goals, we will work with our colleagues in Congress to act decisively, as we have in the past," the two senators said. Rep. Ileana Ros-Lehtinen (R., Fla.) also warned on Wednesday that the Obama administration is on the cusp of permitting Iran to continue its most controversial nuclear work. "A deal that allows Iran to enrich any uranium and to keep in place a nuclear infrastructure is a bad deal," Ros-Lehtinen said on the House floor. "As long as Iran maintains the capability to enrich uranium, it can create a nuclear weapon." "As the deadline looms, and as Republicans are set to control Congress, I urge my colleagues to not allow President Obama to trade away the only leverage we have over the mullahs in Tehran in exchange for minor and easily reversible modifications by Iran on its nuclear weapons program," Ros-Lehtinen said. With less than two weeks before talks are scheduled to end, new evidence indicates that Iran’s nuclear program is more advanced than previously known—and that Tehran is making a concerted effort to keep this fact a secret. "We don't know where they [Iran] are today, and that's why it's important the [International Atomic Energy Agency] verifies from the very beginning the actual inventory of the centrifuges and the consumption of the material," Olli Heinonen, a former deputy director general of the IAEA, said in a recent conference call with reporters. Iran, Heinonen revealed, potentially has in its possession at least 4,000 advanced nuclear centrifuges that it has been hiding from the West. This technology allows Iran to enrich uranium about five times faster than older model centrifuges and potentially means that Tehran’s program is vastly more advanced than Western officials thought. "These centrifuges are five times more powerful than the current IR-1 [centrifugues]," Heinonen said on a conference call organized by the Israel Project (TIP). "So these 4,000 centrifuges actually are altogether like the enrichment power now in Natanz [nuclear site] with the IR-1s." The existence of these advanced centrifuges could significantly speed up the time it will take Iran to reach the nuclear tipping point. "If you take, you know, 1,000 of these centrifuges and just as a kind of thumb rule, if you have 1,000 of these centrifuges and you start with natural uranium, at the end of that one year you have enough material for one nuclear device at least," Heinonen explained. "If you take 2,000 of those centrifuges and natural uranium, it will be half a year. If you take 4,000 of them, it will be three months if you start from natural uranium." However, since Iran already has significant stockpiles of low-enriched uranium, it can reach the nuclear breakout point even quicker. With about 4,000 of these advanced centrifuges in operation, it would take Iran just one month to produce a nuclear device using low-enriched uranium, Heinonen said. One senior GOP aide working on the Iran portfolio called Heinonen’s revelations "blockbusters." Because of their size and power, these advanced centrifuges have a "smaller footprint and make a clandestine facility much easier to build," the source warned. Heinonen also accused the Obama administration of setting "a very bad precedent" by allowing Iran to break the rules and still potentially be rewarded with a sweetheart deal. "The bad thing is that there is a country which is in non-compliance [with established regulations] with its safeguards undertaking and it is allowed to continue uranium enrichment before it has really proved that it has adhered to the agreements," he said. "So this is a very bad precedent and undermines I think the authority of the non-proliferation regime and the authority of the United Nations Security Council." Emanuele Ottolenghi, an Iran expert and senior fellow at the Foundation for Defense of Democracies (FDD), explained that Iran could still secretly procure a nuclear weapon even if it allowed inspectors at declared sites. "Iran continues to stonewall on verification issues … and, generally speaking, transparency over its past nuclear-related procurement and activities" Ottolenghi said. "In practice, we cannot know for sure that there is no parallel clandestine nuclear activity." "Lack of Iranian willingness to address those concerns means that even the most stringent monitoring of Iran’s declared nuclear facilities may leave the door open for an undetectable breakout option for Iran," he said. Meanwhile, an election night survey, conducted by McLaughlin & Associates on behalf of the advocacy group Secure America Now, determined that two out of three voters believe Congress should be given a vote on any deal with Iran. A plurality of Democrats, 47 percent, agreed. Only 22 percent of Americans disagreed. This entry was posted in National Security and tagged Bob Menendez, Ileana Ros-Lehtinen, Iran, Mark Kirk, Nuclear Weapons. Bookmark the permalink.